Charming home situated on corner lot with fabulous floor plan. 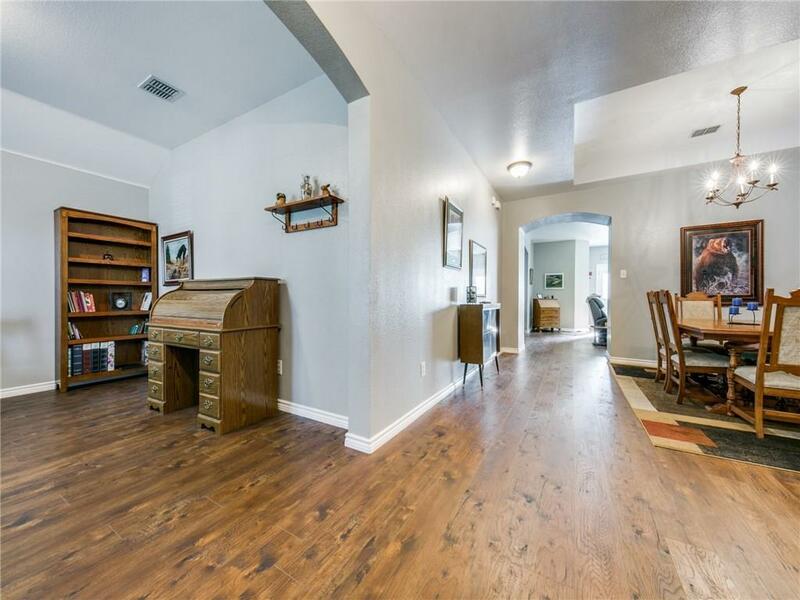 This ranch style home is move in ready. Home features split bedrooms, two living areas and two dining areas. 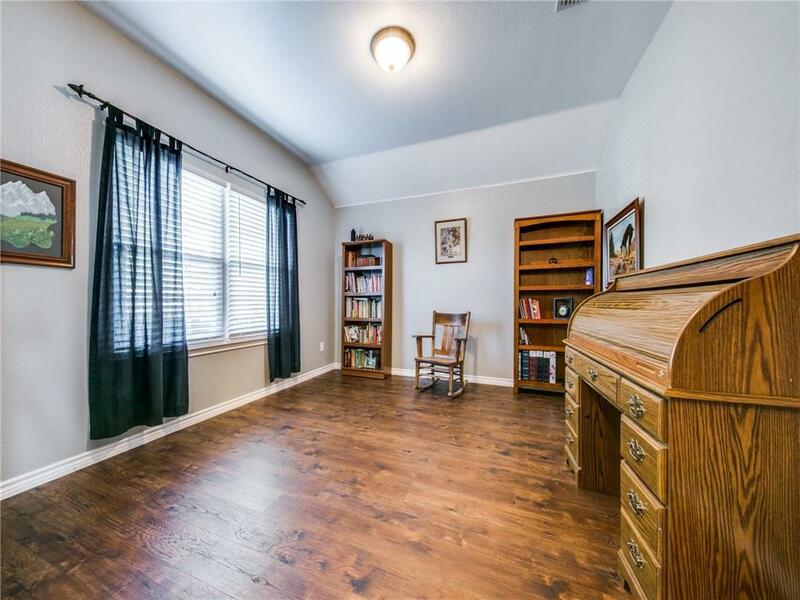 Recent updates include beautiful vinyl floor planking (2019) in living areas, carpet in bedrooms (2018), vinyl tile in bathrooms (2018), Low E windows throughout (2017 with lifetime transferrable warranty) and board on board fencing (2018). Lots of storage throughout. Amazing laundry room with additional pantry. Large kitchen with plenty of cabinets and countertop space. Frig, washer and dryer convey with property. Close to Pleasant Run Hike and Bike Trail. 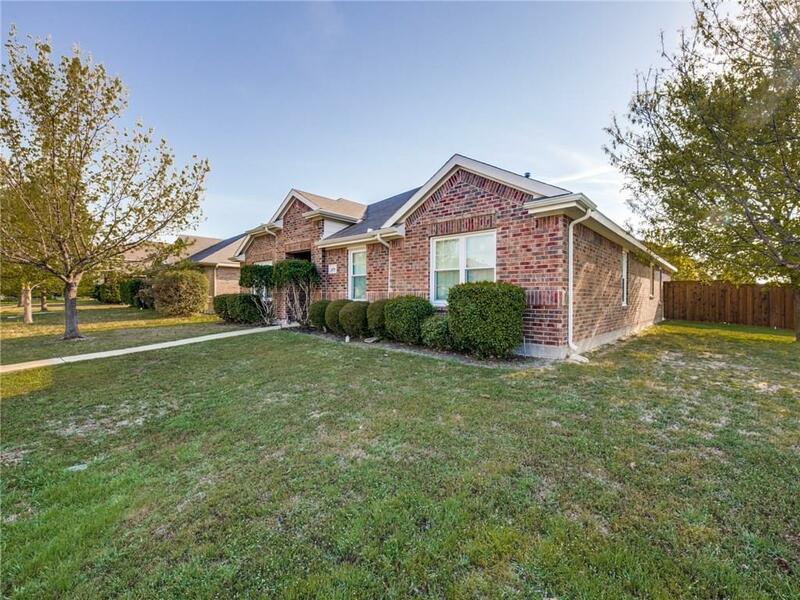 Easy access to I-35, restaurants and shopping. 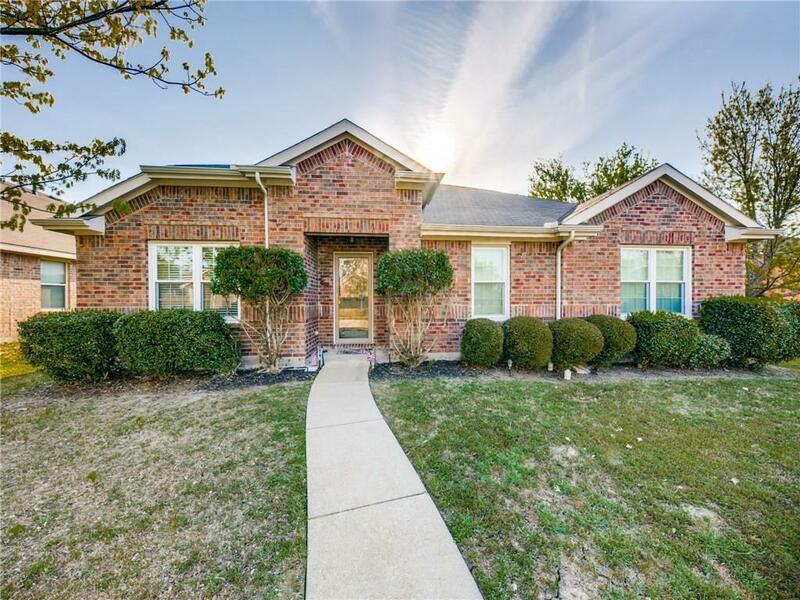 Offered by Nikki Butcher of Ebby Halliday, Realtors-Frisco.